A teacher gave 13 marks to one student and 12 marks to another student in one exam. 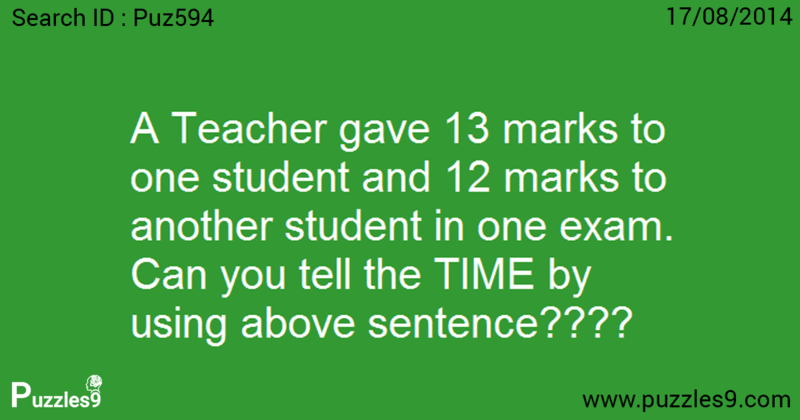 Can you tell the TIME by using the above sentence ???? So, teacher gave “Quarter to Two”. Time format to “Quarter to Two” is 1.45. You Should Try These Too !